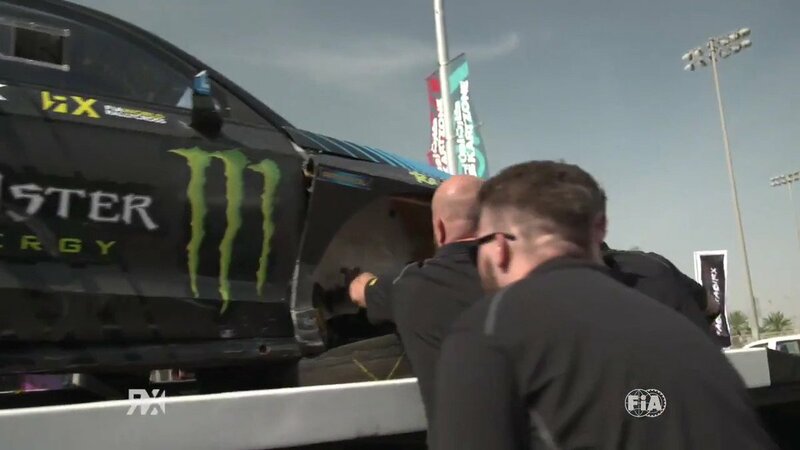 Possibly the most secretive new team ever in FIA World Rallycross Championship history – Monster Energy RX Cartel – released more snippets about its 2019 programme from a secret test in Sweden yesterday. The team published an aerial photograph of three EKS Audi S1 quattro Supercars parked next to one of EKS’s race transporters, carrying only the EKS branding. Apart from a comment made by RX Cartel driver Andreas Bakkerud on social media a few weeks ago, this is the first public indication that the cars will be run by 2016 World RX Teams’ Champions EKS in 2019 for Bakkerud and Liam Doran, along with its individual entry for Hungary’s Krisztian Szabo. Photographs showed the Audi S1s with plain white and carbon fibre bodywork, but images of the roof showing the 2018 air intakes have confirmed that they are the three cars raced by Ekstrom, Bakkerud and Nico Muller last season.